If traveling to larger casino destinations such as Las Vegas or Atlantic City is not easily accessible due to distance or budget, then consider heading to Biloxi, Mississippi. This smaller yet wonderful casino destination offers group travelers a great variety of options in lodging, dining, and entertainment, without breaking the bank. Biloxi is accessible by group via bus from several large cities in the United States. The weather, while humid due to its proximity to the river, tends to be pretty mild, making it a lovely destination for a short winter group getaway. Accessible by ferry, Ship Island offers great views and is home to a great deal of history. During the war of 1812, about 10,000 troops rendezvoused near the island, in an attempt to capture New Orleans. The island is home to ruins of a fort used during the civil war, and it is also a great natural reserve for local flora and fauna. For groups larger than 15, there are special ferry rates by arrangement. Harrah’s is perhaps one of our favorite group hotels in the Mississippi Gulf Coast. There are enough activities on the property to make it into a stand-alone weekend destination for a fun-seeking group. From live entertainment to superior spa services and excellent golf, Harrah’s has something for everyone in your group. This property also receives high marks from the Groople casino-destination professionals. Your group can take advantage of more than seven dining options and three incredible nightclubs and bars. Almost every weekend, the Beau Rivage becomes the main stage for top entertainers and highly coveted shows. 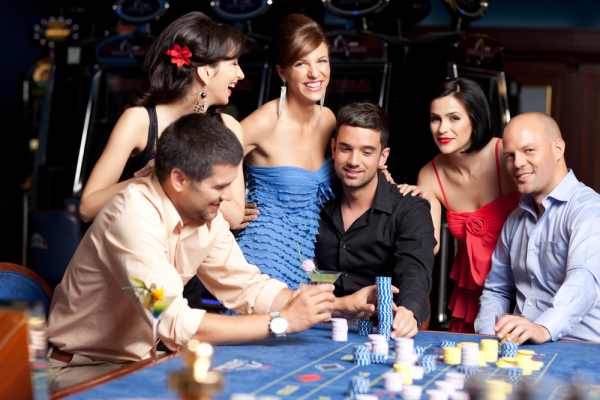 This destination casino offers incredible package deals for groups. Let us help you design a package that exceeds every expectation of every member of your group. For group travelers looking for a more relaxed ambiance closer to the water, consider the Gulfport Beachfront. This property has beautiful rooms in a quiet setting, allowing your group to rest and relax after a night on the town. Call Groople today to get the best rates and best group perks in Biloxi. Or click here to see our list of properties that we feature in Biloxi.